So begins this totally adorable children's book I randomly grabbed off the library shelf. Itsy Mitsy is part Cindy Lou Who, part Precious Moments doll---totally adorable, in other words, but with tons of little-girl spitfire. Itsy Mitsy hates bedtime. So she decides that she'll be running away to a place where there are no bedtimes ever, not even one. Her dad tearfully "helps" her pack. She must bring a friend. No bedtimes is one thing, but no friends? That would be terrible. So along comes her friendliest dinosaur, Mr. Roar. But Mr. Roar needs a snack. And his snack needs to be guarded from the bedtime beasties. And Puptart needs a light to bark at the beasties. And the light needs an outlet. And the outlet needs a house! And ... you get the idea. 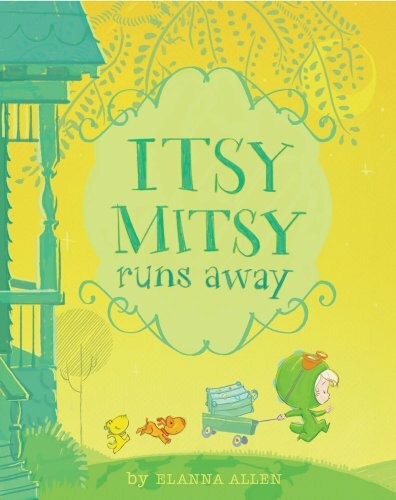 I love that the story includes Itsy Mitsy's dad. I love the childish voice and imagination of it---how it's not quite real, and yet very real to Itsy Mitsy. I love the playful illustrations. And I love the poetic rhythm of the writing. This is just one seriously cute little book! Check it out. 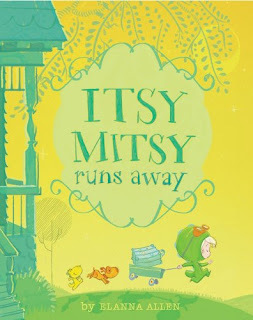 Itsy Mitsy is one little storybook gal you've got to meet. My KidLitCon adventure began a day before the actual conference, so I'm calling this installment of the report "Day 0." On this lovely Thursday, I met up with my friends Rachel and Marie just after 1 p.m. We drove the three hours to Chicago in style - with Rachel at the wheel and lots of yummy snacks. Ladies' road trips are the best, and the talk always makes the time fly. 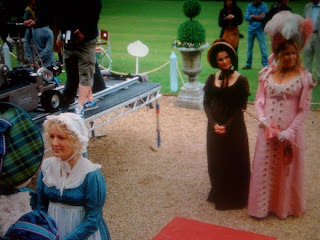 Rachel, on a spinny cow stool. Marie, on a pink plastic chair. Quickly, we loaded our purchases into Rachel's Expedition and zoomed off to Anderson's Bookshop (and here's where the books come in). We snuck in just a minute or two late for Shannon Hale's appearance. Shannon gave as charming and vivacious a presentation as I have ever seen her give. She was, in fact, jumping up and down at one point. Very lively. 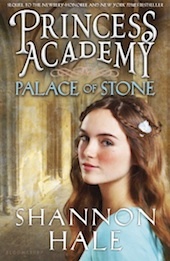 She took questions from the audience and talked about how going back to writing Miri's voice (for Palace of Stone) was easy for her -- typically, she said, she starts with a story and then finds the character in the drafts. This time, of course, she knew Miri well and had to find the story. 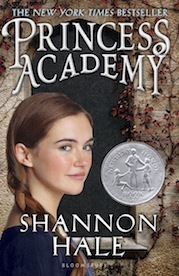 Shannon told us that she is working on a series of Easy Readers, to be called The Princess in Black. 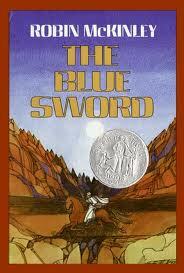 The series was inspired by her then-four-year-old daughter who was wearing a skirt and naming the colors. "Pink is a girl color, purple is a girl color, but black isn't a girl color," she said. Shannon protested. Her daughter countered, "Princesses don't wear black." So the books will be about a pretty pink-clad princess who, by night, dresses in black and rides out to do battle with monsters. She is also working on a science fiction book set in the present day -- as yet untitled. After questions, Shannon Hale signed books. And this is where things start to get lucky for you, Evereaders. 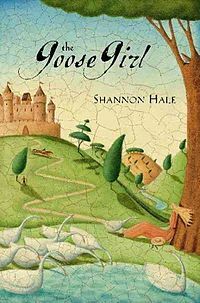 I couldn't wait until the end of September to read a Shannon Hale book that came out in August. And I couldn't get a spot in the signing line without ordering a book from Anderson's. So . . . I have an extra, signed copy for one of you! A signed copy of this excellent book, delivered to your mailbox? Learn how to win, below! 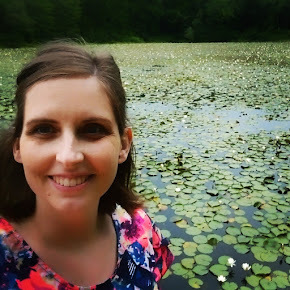 Just leave a comment on this post (perhaps you will tell me a question you would have asked Shannon Hale?) to be entered in the contest. Whoever asks my most favorite question will win. Or, if I can't decide, it will be a random drawing. Either way, I will announce the winner next Wednesday, October 10. The three of us at Wendy's after the signing. Why did I take no photos of Shannon Hale? It is a mystery even to myself. p.s. Oh yeah! After the bookstore we went to dinner and then to our hotel. I was very relieved that it wasn't shady -- since I booked it online two nights before. For some odd reason I got the biggest thrill walking into the hotel room. I yelled, "We're here!" Somehow being in the hotel made New York and KidLitCon the next day seem so much more real. Day 1 report, coming soon!